one killer clown. 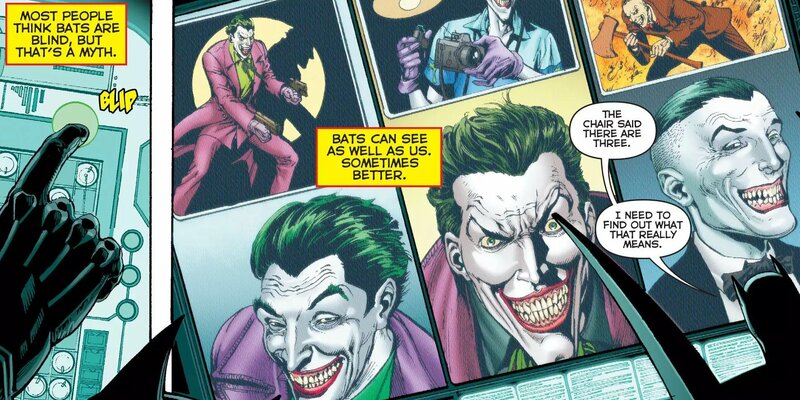 According to the one-shot, there are (or have been) three Jokers throughout DC Comics continuity. It is a bananas twist that doesn’t make a whole lot of sense, but it certainly ups the ante when it comes to The Joker's (or Jokers’) creep factor(s). One Joker was bad enough. There’s no telling what three Jokers would do together -- or how many Robins they would kill. Fans might be seeing some answers on the Joker twist in the very near future, as Batman scribe Tom King is set to start a brand-new story arc in the summer featuring the villain. Joker will be facing off against The Riddler in "The War of Jokes and Riddles." Even if The Joker’s identities aren’t revealed by King, this doesn't mean there isn't reason to worry about the Dark Knight's greatest adversary. There is no doubt that Joker will be remain his unnerving, hyper-dangerous self, as Tom King’s Batman run hasn't had a bad issue yet.